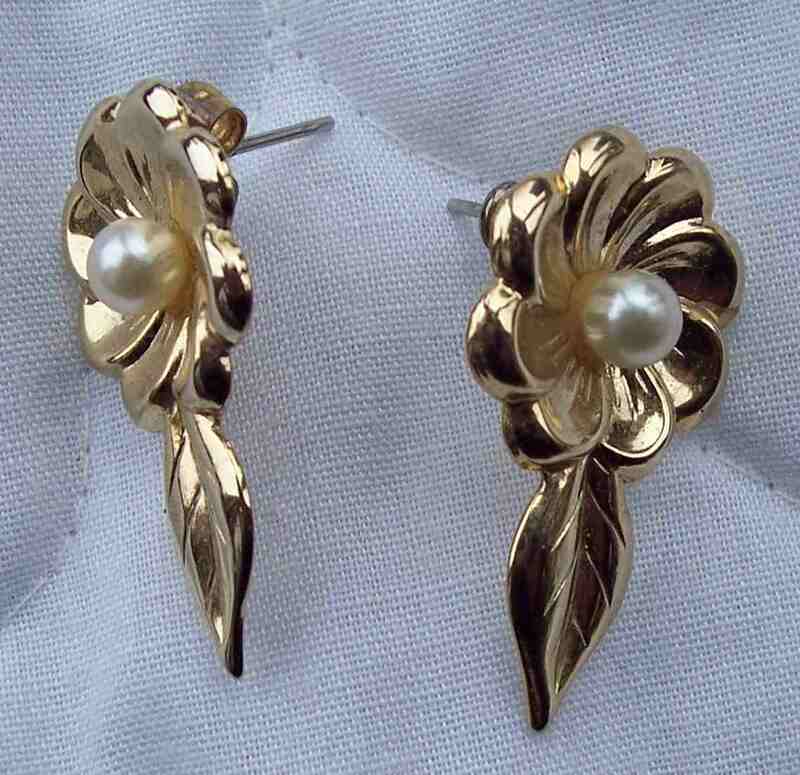 Vintage Gold Toned Floral with Pearl Stick Earrings Flower and Leaf shape Pearl Center Gold Toned Stick design for pierced ears Material: metal Origin: Unknown Markings: none Length: 1.0 inches approx From an estate sale Condition: Very Good Damage Free No previous repairs found Any questions please e-mail Shipping: US buyer to prepay sale amount and shipping of 4.50 USD (Canada Post Light Packet). Canadian buyer your shipping will be 4.50 USD. International purchases welcome, shipping will be email for price. Payment can be made by Paypal, Bank Check or Money Order, or if from the USA, an US International (pink) Postal Money Order. Will combine sales where possible to lessen postage. Please check out my other booth items.